There are quite a few articles, reports and presentations which will present Big Data as an hype or fad. In my humble opinion, such comments only shows that folks do not understand Big Data and are ignorant on how to leverage it. 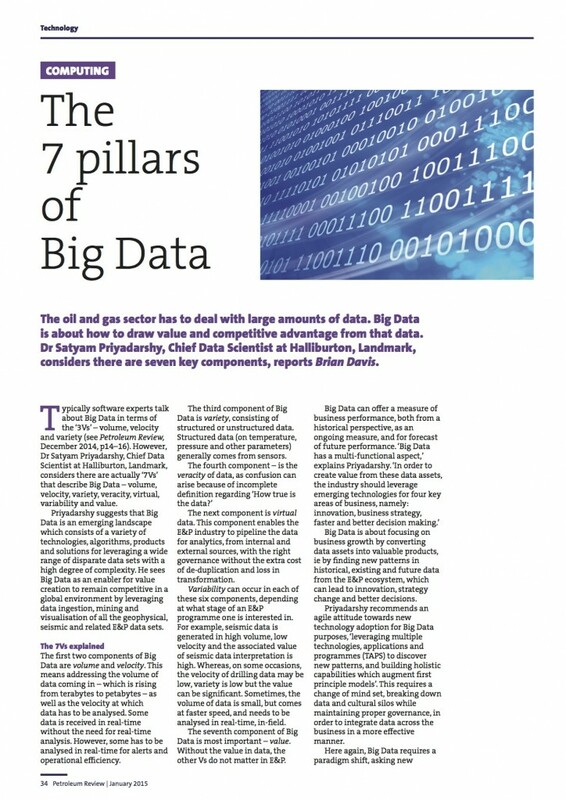 Hence, they take the easier path by writing off Big Data as a buzzword. For those who want to leverage for your business organizations .. here are few things to remember. 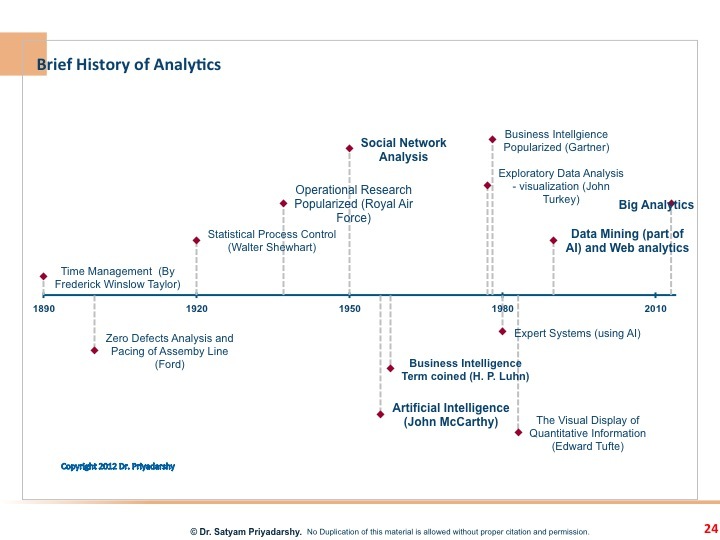 Big Data is about - “ALL” the data of the business, related to business. Do you really know what all the data you have? 99% of business only look at data in silos and hence could never realize the full value of this fragmented, transformed and limited data. - Creating value from data within the scope of extendable business strategy. Do you know what strategy will keep your company competitive and enable growth? - Iterative play for remaining competitive and innovative. Many of the Big Data Consultants advise leaders that Big Data is about creating KPIs in an efficient manner, but to be frank, it is not just KPIs. KPIs only help in operating the business in status quo mode. One needs to explore the outliers from the patterns in the data to deploy innovative solutions to improve and create new product and services to gain market share. - Leveraging agile technologies to create value. There is no reason for not leveraging all the data in today’s technology era. - No interest in open data culture. The data and cultural silos provide for power grab and hence they do not want borderless environment in their organization. - No patience to explore new patterns. Long term win does not come with short term gains. Even in a gold mine, it takes few tons of ore to find few ounces of gold. - Too much faith in consultants who have no experience in Big Data themselves, and guide them towards creation of data lakes, data ponds. Data lakes, Data Ponds are nothing but Data Silos just little bigger than normal data warehouses. When we want to churn the ocean, these consultants provide you a pond or lake thus wasting your resources. 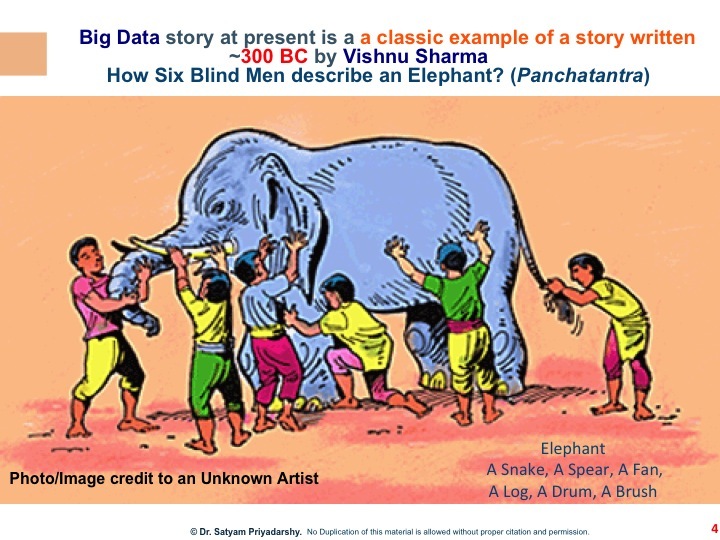 Big Data has so much of similarity with the story written in ~300 B.C. by Vishnu Sharma, in PanchTantra, a classic of Bharat (India). Six blind men were asked to describe an elephant, and each of them describe it differently, based on the part of elephant they touched. Similarly, a confusion is being created in describing Big Data – is it Data, Technology, Algorithms, People, Data Science, or Business Need, etc. 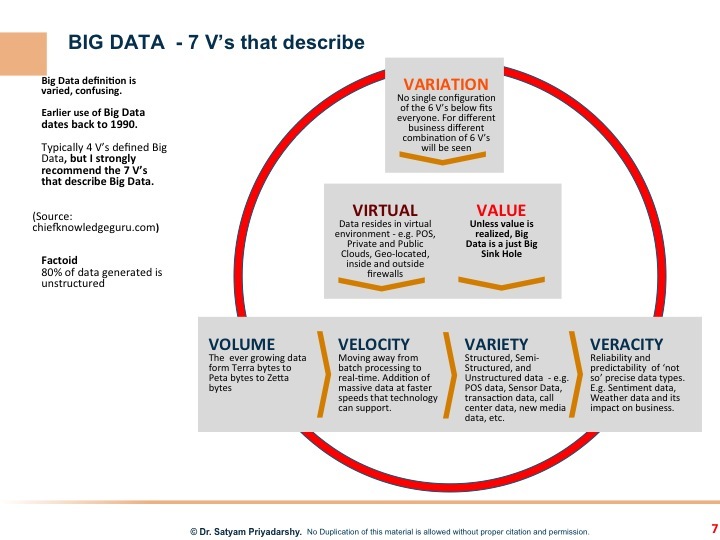 However, if we keep it simple, Big Data as “Data” then then see a 360 degree view in proper context, it will easier for businesses to leverage and get value out of Big Data. A large number of ERP systems have been in the market for a long time and all of them rely on best practices, so why such failures or delay occur? Business are going to adopt the emerging technologies like cloud, virtualization, mobility, and new media, including social media. These are evolving in multiple direction at a faster rate, then traditional software cycles have handle so far. How does ERP incorporate new emerging technologies and media? Changes in initial scope of project has been one of the big contributor to the delay and failure of ERP projects, based on survey of 2000 ERP projects .  Business strategy should drive and define the technology strategy. Business executives should learn to avoid IT Blind Spot .  Clear path for future vision rather than ‘right-sizing’ ERP for the present. Rightsizing for now, is likely to make ERP project much more expensive in long-term. The prevalent view that ERP technologies are a “burden” and “slow moving” is mainly due to the fact that vendors are not able to integrate with emerging technologies. Irrespective of that, traditional ERP market is estimated to grow to $50 billion by 2015, and the ‘SaaS’ the long-tail aspect of ERP to grow to $78 billion by 2011. ERP relevance is great today, as the market size is growing, the integration with new technologies is essential, and the latent demand is yet to be explored. The Feld Framework for IT Leadership, a series post at http://chiefknowledgeguru.com/2010/02/thefeld-framework-for-it-leadership/ (Based on the book IT Blind Spot, by Charlie Feld). Social Media is the technology platform that has received exponential growth in adoption by consumers of all ages. The age barrier to use the likes of Facebook, Twitter, Texting is going down every year, irrespective of the legal age limits proposed by the Social Media Companies in their terms of services agreement. Hence, educational institutions including K-12 schools can play a key role in training, coaching and mentoring their students and teachers in using the Social Media responsibly and safely. 1) Privacy: The privacy concerns are one of the most important ones. In social networks, the profile of students, and teachers becomes public. The profiles are crawled and indexed by search engines. This makes these profile owners an easy target for abuse by unwanted elements of our society. 2) Content Filtering: The content posted on social networks is not moderated and shows up unfiltered in real time. For social media to be effective and provide value in the educational environment, the contents need to be filtered appropriately. 3) Unstructured Data: The real-time streams of text in likes of Facebook, Twitter showcase large amounts of text that causes to miss a lot of material of interest. 1) Privacy: The platform is provided in two offerings, both addressing the privacy concerns. The Secure Inside the Firewall download and install offering is for education institution who want their Internal communications to be highly secure, while monitoring the larger social media networks on the Internet. The internal user id or profiles, do not become available to outside networks, thus providing a good protection to the users. 2) Content Filtering: The easy to use features for moderating the content that is posted. 3) Structured Data Streams: The ability to create topic specific groups., The teacher-student specific group provides an easy to read and respond feature to content. This increases productivity and effectiveness of the social media. Today’s young generation is not restricted to books. The internet and social media are blasting it with information, contacts and virtual visitors. Hence the need to put controls to make social media a safe and effective social tool. 1. http://www.nbc12.com/story/14332776/educational-editorial 2. Teaching, Learning, and Sharing: How Today¹s Higher Education Faculty Use Social Media, April 2011 by Mike Moran, Jeff Seaman, Hester Tinti-Kane, Pearson and Always Learning Report. Knowledge of the core competencies of the business and its competitors. The knowledge of what your customers want, not just what you want to offer. Aversion to risk plays a big role in stunting growth. This also leads to lack of innovation in the organization. Repeatedly doing what worked in the past. Many a times management executives want to stay with status quo to protect their job, territory, power or people even though they are well aware that any state is transient state, including ones life on this planet. Businesses with this culture lose to competitors that create a diverse organization to encourage innovation and challenge the status quo. Management’s lack of consensus, arising from the members of the management team who lack the knowledge of the growth areas in which business can grow. Arrogance in company culture, typically a result of previous successes. This arrogance leads to providing lip service instead of great customer experience to even some of the most valued and loyal customers. Examples of corporations or businesses that are showing stunted or declining growth can be found in any business journal or newspaper. If one maps the above characteristics to their culture, one would find at least two or more of these behaviors are easily seen in these companies. In my next post, I will write more on other areas of business that are impacted due to the KARMA described above. Many of us may remember the growth of dot.com bubble and the subsequent burst of the bubble whose repercussions are being felt by technology and Internet companies till date. So the question is what makes something a bubble? In simple terms, a bubble is something that has a very thin film around a space of air. As the air increases inside, the thin film keeps expanding, and depending on the adhesion, surface tension of the material of which this thin film is made of , the bubble can expand very fast. Once a certain level of surface tension is reached, the bubble bursts or if a very small speck of dust comes in touch with the thin film, it changes the cohesive forces of the film and the bubble bursts and disappears. Now let’s look at the Dot.com Bubble 1.0 – The Internet technology had just been out of the academic and military research labs into the hands of the commercial world. The Web started to grow and the key factors the investors, the companies were looking were the number of eyes balls or unique visitors that come to the view their site, portals or web property. Some used cool techniques to get those impressions like the carpet bombing of CD’s by AOL, the use of taglines in every piece of email “Free Email by Hotmail” (the Viral marketing approach) among others. The companies who got exponential growth in their visitors saw their stock prices soar, and valuation of companies increased exponentially. That was the rise of Dot.com Bubble 1.0. However, the customer base got saturated and the surface tension in the form of competition grew when the thin layer on top of Internet technology companies just crashed and the bubble broke and shattered the dreams of many people. The SM 2.0 is a crowded space, where many of the players add little to no value. Friend or Friend of a Friend definition has changed for the worse in SM 2.0, and SM 2.0 platforms are not providing good filters (unlike LinkedIN). Enterprises do not see value in SM 2.0, even many Internet companies do not understand SM 2.0 value. Users have preferred SM 2.0 network, even though they exists in all or many networks. The inter connectivity of networks is not easy. Interoperability between networks become smooth and simple. Enterprise promotes the usefulness of ‘real-time’ collaboration using SM 2.0 internally. Secure SM 2.0 for internal data sharing, while monitoring external SM 2.0 networks. At the crossroads that provide you two paths to move on, most people will avoid the path that is full of uncertainty. One takes the path that is easy, known or has set of directions available. I know one person who has chosen to take the path that is full of uncertainty. The person is Global CIO Kamalesh Dwivedi. He was at the cross roads, where the easy path would lead him to the humble abode in Denver, Colorado and near to his children in US while the other path keeps him in Tokyo with uncertainties related to future earthquakes of various intensities, the looming spread of radiation from the Fukushima Nuclear Plant (179 miles north of Tokyo). Kamalesh decided to stay in Tokyo and provide leadership to the thousands of employees of BellSystem24, a commitment he made many months earlier when he took that responsibility, after being hired by Bain Capital in US. So what drives Kamalesh? For outsiders, it might be that he is a CIO of one a large company and hence prestige and compensation drove his decision to stay back in Tokyo. I can tell you that neither money nor status drive Kamalesh at all. He is man of commitment and the unmatched leadership skills he has built over the years during his career. His commitment towards the employees of BellSystem24, the hurt felt by the population of Japan, and his belief in the value system he grew up as a kid in India. The value system stems from the original words since human existence. These words provide guidance on how to lead life and these words are available in the book called Bhagavad Gita. In it one of the shlok is “karmanye vadhika raste ma phaleshu kadachna“, when translated and interpreted in English, it reads “One has a right to perform one’s prescribed duty without attachment to the results”. Hence, Kamalesh’s prescribed duty is to lead the employees of his company in Japan and he is doing a great job of it. Kamalesh’s resolution to stay back in Tokyo became firmer, even after the US Embassy’s recommendations to Americans to leave Japan, when he watched the following footage. The footage was of this dog that would not leave the side of another injured dog after the tsunami had hit one of the cities. If dogs, that we consider as the lower life forms can show so much compassion and concern for their fellows, then how should we behave? Human beings should have more compassion and concern for fellow human beings. This compassion or concern is not motivated by money. It is the internal aspects of human life, the spirit of One. In his decision to stay on the path of uncertainty his best friend and his wife Rita is also in Tokyo, they has strong support of their children in US and many of his friends across the globe. Should the government have allowed him to go the tsunami hit areas to help others, he and his wife were ready to go. The travel restrictions and accessibility only for rescue workers has stopped him in doing so. I was with Kamalesh before and after the earthquake and I have first hand experience of his uncommon leadership during the time of crisis. On March 11, 2011 the day of the major earthquake, we walked together for few miles from Shinjuku to Kojimachi and then to Tamieke Sanno in the cold weather, as no trains or transport was available to go back to our apartments. During this walk I saw his determination and commitment to his company, employees, and the local people getting stronger with every step of the way. I admire and support his decision to stay put, to provide leadership to his team and company; even during these hard times. I know some of our mutual friends and past co-workers are fully supportive of his actions. To walk the path full of uncertainty, it takes courage, commitment and desire to be human first. Kamalesh Dwivedi is one such person who has those values. My salute to him. The most admiring part of the Japan and Japanese people is reflected well in the culture. No country or countrymen in the world is up to that level right now. Day 5, after the major Earthquake hit Japan, I left Tokyo to come to US. The airline graciously and with a smile on face of their employees changed the ticket for me. On top of that they were saying that they are personally sorry to see that people have to change plans because of the Earthquake. How many people in this world, will say sorry for a natural disaster that impacts their guests and customers? On Monday, the food supplies in stores was running low in many areas of Tokyo, lot of restaurants were closed. People did not hoard the food. They bought just the right amount for one meal. So everyone can get some food for lunch. The petrol or gas was not available in abundance, people waited for long hours to get their quota of gas. What a patience these people have? Way more than my fellow country man in US. The patience level is very low here. I was reminded of the difference with in 5 hours of arrival in Virgina from Tokyo. I was driving to Oakton High School for a concert in the evening. As I waited for a left turn, the person behind me in a big truck started honking. He had no patience for the cars coming from the opposite direction to pass. It took only less than a minute for those cars to pass us. Officially, the electricity rolling blackout was declared in Tokyo and other areas of the country. On Monday, office workers decided to turn off all lights in the office and work under the natural light that was coming through the window. In the airport hotel, where I stayed they turned off air-conditioning and other power using items like TV etc. No one complained or requested for refund. The honor, the dignity of human life, the true sharing of resources is the motto of the Japanese people. This is probably the effect of teachings of Shinto and or Buddhism the two major faith popular in Japan. I am sure some developed and developing country people can learn some patience, some discipline and follow the foot steps of the Japanese people. Human dignity is very important for Japanese people. A more detailed account of the customer service of Airline staff, that is exemplary in it own sense will be presented here later. I am completely humbled by the Japanese people. Today is the 3rd day since the major earthquake hit Japan. The number of after shock tremors have gone over 260 of different categories. Till March 19th more are expected. I stay on the 9th floor in an apartment building in central Tokyo. The tremors are very visible and you can feel them very much. The swaying of building reflects the intensity and duration of these tremors. Earlier today I visited Kamalesh ji at his apartment and he lives on the 22nd floor of the building. As we discussed what things fell in his apartment. The answer was none. So what happened? The answer lies in the application of physics and engineering that was used in buiding these tall apartment complexes. An active mass damper system, containing two master dampers is installed on the topmost floor of the building. All the other floors contain hysteresis and viscous dampening devices within their structures. The above systems allows to cope with severe swaying caused by large earthquakes (200-300 gals acceleration response spectrum of the hysteresis theory). So, what is this “gal” is the unit of measure for acceleration in gravitational science. gal is written in lower case and it is 1 cm/(s^2) = 1 cm per second square. The unit gal is name after Galileo the famous scientist. The above systems also allows for lesser swings caused by large winds (20-30 gals acceleration response spectrum). The building has been constructed to withstand an earthquake of seismic intensity 7 on the Japanese scale and a maximum velocity of 50 centimeters/second. What is the Active Mass Damper System? A sensor that detects swaying is coupled to a computer. It minimizes the swaying by controlling a weight installed in the uppermost part of the building. It can reduce the impact of a 25 meters/second wind by 50%. There are two damping devices (a) Hysteresis damper, and (b) Viscous dampers. Viscous dampers are based on energy absorbing materials. However, the physics and the engineering can reduce the impact of Nature’s force upto a certain degree, as the predictability of Nature’s force is still an ongoing research topic. On the life in Tokyo, the stores have certainly run of fresh vegetables and other items mostly due to lack of transportation. The metros have finally started to work. Not sure about the fast trains. Lets see what Monday brings. Today is Saturday March 12, JST 22:49 PM. Yesterday, after the major Earthquake and lot of walking from office to apartment and connecting back with my Son, who was visiting me for last week. I could not sleep all night. After shock tremors continued and are still continuing. My son had a planned ticket to go back home in Virginia from Tokyo. Our experience started with Japan Airlines sending as message 6 hours before the regular schedule time that flight is delay by at least three and a half hours. Thus we planned to leave little later than normal, as the main modes of transportation to Airport are still not normal. From heart of Tokyo to the Tokyo Narita Airport, it is atleast an hour by fast Skyliner train. However, skyliner was not working, no buses called limousines were also down. The taxi costs (20,000 Yens = $240) but taxis were not going to Airport either. The only option left was a metro and then Japan Railways (JR) slow local train. We reached the Ueno – the JR station using Metro and to our amazement, the queue to buy the tickets for the airport train was few kilometers long. All customers were patiently waiting for their turns. No one was cutting line and or pushing, screaming, etc. We could not have made to airport if we should in that line. As we walked outside the Ueno station, there were other 1000’s of people queued up other rail services, again calm and quiet. We walked past them and they easily gave us space to go past them. A behavior never seen in India and US for some reason. We decide to look for a cab to half way or some other station where we can take the train. Finally after 30 minutes of search we found a taxi and took us to Nipori station. For some reason at the moment we reached there the station was not crowded so we got on the local train that has 42 stops on the way to the airport, a journey expected to take two hours. During the journey, the announced this train will only go to Stop 22 and then all passengers need to switch the train from another platform. What an experience when you do not understand the words they say, as the language is new to us. All passengers got out of the train and moved to another platform and stood in queue in front of the area where the gate of coaches would be. All so automagically, I cannot believe, since everyone was stressed about the time of arrival at the airport. Many folks we talked had flight at 3:30 PM JST same as my son’s flight and expected time for this train to arrive now stood at 4 PM JST. JAL sent message at 3:30 PM JST saying flight is further delay to leave at 4:00 PM. We arrive at the airport at 4:05 PM. We walked to the first JAL counter (a first class) one even though my son’s ticket was not business class. The JAL employee guided us to another JAL counter. This new JAL employee very softly, calmly and sweetly said, “Let me see how I can get you on the schedule flight.” The flight has not departed. My son’s NYC to DC flight boarding pass was not getting assigned, delaying the process. She went and talked to some one and she immediately printed the boarding pass for Narita to NYC and showed us all steps for going to the gate and said to us. You will board the plane, so do not worry. She even asked us how our experience was from Tokyo to Narita. (The tremors are going on. 23:15 JST). My son commented that if it was United or other airlines, they would send us to that big counter and not care about passengers. This was supported by other fellow Americans we met at the airport. Here the employees took full control to help till the end, and would not send the customer from one counter to another. What I admire about the JAL and airport employees was their interest in customers experience and their zeal to help to make sure the customer is taken care of. The crowd on the airport was huge as lot of Asian airlines had canceled lot of flights. The security guards, the guides at almost all escalators and turns were guiding people with a smile and soft voice. It must require a lot of patience for being calm, soft, and gentle in crisis. Finally my son made to the flight and the flight left at 5:03 PM JST for NYC. I am glad that he is on his way home and to be with family members there. My return trip was also slow. More about it later. It was around 2:45 PM JST during the CIO’s technology leadership meeting on the 10th floor of the office, in Shinjuku, opposite Takashimaya, Shinjuku, Tokyo, that we first felt tremors of the Earthquake. We (Kamalesh ji and I) were asking our Japanese colleagues if it is normal to feel such tremor or have they experienced such tremors before. We had not finished our sentences and the intensity of the tremors increased even more. This is when we all went down on the floor to cover our heads, while some of our Japanese colleagues – held the door, the large pictures from flying in order to protect others in the room. While doing all this they are were gentle, soft and very organized.. No panic on their faces or in their voices. The intensity kept increasing for few minutes. It felt like a long time though. I could see tall buildings shaking like a tree leaf and believe me it was not something one wants to see, when you are on the 10th floor of a building. One of our colleague then directed all of us to come down. We all walked down via stairs all 10 floors. Few of us stopped at the 6th floor to get our long coats as it was pretty freezing outside. Everyone was obeying all rules of walking in the stairway and no one was pushing anyone or screaming. First, we gathered in the middle of the road between the tall buildings. In 10 minutes or so, the local school’s playground gates were opened for all employees from our company as well as employees of companies around. The senior leaders made sure everyone in their team was accounted for and the process of counting people was done in an organized manner. One of the first things as soon as people were in safe grounds. After an all clear for the building, we went back into the building. Around 4:30 PM JST the company officially closed. Employees were free to go to home. However, the challenge was that there were no metro service. Taxi service was clogged. Only option was to walk to your house or apartment. A challenge for some of us who do not know much about Tokyo streets or cannot read signs clearly, as visitor we are so used to rely on the Metro trains. Finally, we walked couple of miles, and we saw everyone were obeying all road signs. They were waiting for the ‘green man’ before crossing the intersections. No one was pushing or shoving any one. As I write this, the after shock tremors are still going on and I am writing this, as I cannot sleep tonight. I have never experienced such calm behavior in 20 years in living in US and almost same number of years in India, that too in face of one of largest Earthquakes in the history since 1900. A strong support came to me in form of Gmail from my Geologist brother and scientist, half-way across the globe, who connected me and my son (who was in some other part of Tokyo, on his spring vacation from UVa and has ticket to go back to US tomorrow). My brother sent me US Embassy number and said not to panic and explained the process of Earthquake and said the worst is over but after shock tremors will be felt for days. Take precautions. He explained the intensity was 8.9 at the epicenter in the sea. Later we all came to know it was in fact one of the worst Earthquake since 1900. The tremors are getting intense right now on the 9th floor of my building. TV is also on BBC, as the sound from TV is distracting from focusing on tremors. Of course, some parts people must have been screaming, as the feeling of tremors is not easy to comprehend and the uncertainty of how long they will last. As we walked, many places we saw Police, Security Guards helping people patiently and not rushing. Guiding people to reach their destination. Never heard one bad word from any one during the whole ordeal. What a great population Japan has!! We can all learn how to be organized, orderly, respectful and helpful to human beings from the Japanese people. A great experience to remember for me and my colleagues. More tremors are on.. It is 00:43 Sat JST. One of my Japanese colleague Sone-san even went to 10th floor to get me some tea, as I was completely exhausted by standing out in cold. The treatment I received from my Japanese colleague will be in my permanent memory now. Focus – Remain focused, keep executives and other people focused around few things that can be accomplished successfully. Mentor – Mentor leaders, peers and technology leaders. Ingrain the language of business in technology leaders. Flexible – Be flexible in accommodating the needs of the customers (internal or external). Communicate – Communicate, communicate and communicate often at all levels of organizations, the projects, programs that are in focus. Brand ambassador – Be a brand ambassador for the company, not just yourself or your organization or your unit. Marketing – Marketing is one of most important key to success for any business or unit. So market internally (as a CIO) effectively. Celebrate – Celebrate often with the team and extended team for both minor and major accomplishments. Visit again this page for more knowledge on being successful. Just heard on Bloomberg TV channel, a comment by Hussein Kanji “Social networking companies lose users when they push for profits”. As per the interviewer Kanji has watched Facebook closely when he was at Accel, an investor firm. The rise and decline of AOL and now the re-emergence of AOL could provide good insight into this statement. AOL was the ‘Social Media company’ even before the term social media was coined. Groups, Private Groups on LinkedIn, Google, Facebook, etc. Groups@AOL. Growth in funding of entrepreneurial activities in various parts of Asia and the adoption of local social media products in various area. For example, SMS GupShup is the leading social media platform in India. The growth in users of current social media will flatten out, after an exponential growth, as the number of users are fixed in the world. The discussion about privacy is getting hotter for these social media companies. In summary, if current social media companies need to remain competitive and growing, they need to focus on innovation more than profits. The users will leave for the new technology platforms, as they did when the current Avatars were created. For many organizations, the difference between customer service and customer focus is not very clear. Winning awards just for customer service does not always translate into a great customer experience. From the lens of the cultural background I grew up in, the belief is that a “A guest who visits you needs to be treated like a GOD” and in modern business terms, the customer is that guest who is not only visiting you but providing you his money and your salary. So, that guest really needs to be provided with a great experience. Over the years, I have watched various organizations and companies that, during their early years of growth life cycle are willing to listen to their customers, but as they mature and the revenues and profits become significant, the arrogance and neglect of customers sinks into the culture. When the revenues and profits start declining, they start talking about voice of the customer internally but the actions do not translate into really listening to the customers. The customer complaints become a statistical number which is so small compared to the total number of customers who do not complain that those issues end up nowhere. One must understand that when a customer complains and is willing to spend time to write a long email, blog or leave long phone message, then he/she has crossed a patience threshold and for every one customer that complains, there many of them who are quiet as they do not want to spend time voicing their issues. to regularly get feedback from the customers. This post is last in my series and provides where the framework is successfully leveraged. Since its inception, The Feld Framework, has been successfully deployed across many companies. The framework has being generalized based on the lessons learned from these companies. The Frito-Lay case has been a topic of case studies by the Harvard Business School. Enterprises that are focused on thriving in the 21st century and beyond have to leverage the IT to enable them to succeed and compete in the fast changing global economy. The Feld Framework provides a robust and highly successful framework to leverage IT and enable business success with speed and consistency. How do customers want to transact business? How quickly are the customers moving to a different set of demands? How quickly are competitors are moving to fulfill customers’ demands? What is the value of the supply-chain leverage? What are the givens for our industry? What is the value of supply-chain leverage? Are there new competitive entrants? What business transformation is needed to meet the customers’ demand to grow successfully? How can the probability of success be improved while minimizing the risks typically associated with change of transformational magnitudes? What should the pacing of investments be, both short- and long- term? What gives synergy vs. autonomy, in a multi-divisional company? How and where are these decisions made? How can the transformation occurs and how can the business stay stable during this transformation? How can we leverage the existing assets to keep existing as well as future target running successfully? In my previous post, I discussed the plank HOW we do it. In the post, I will talk about WHO will accomplish the transformation. Treat IT folks in the same manner as one treats people in any other profession. Once a well articulated WHY, clearly defined WHAT and pathway to execution of HOW it is to be done is completed, the business transformation’s success depends on the leadership: WHO governs and leads the team through the phases. The leadership needs to understand and address the short- vs. long- term needs for the business and the business unit vs. the enterprise’s need for execution. The winning team will have the right talent, the right structure with clear decision making authority, and accountability. A strong and sustained leadership culture from the top of the organization to the front line is the only way to muster the energy for sustainable and systematic change. However, there is need for governance structure and processes. WHO Principle 1—Organization matters: This requires (a) a process driven development teams, (b) a common services team, and (c) a world-class operations team. The IT team should be organized for most enterprises as follows, with a cradle-to-grave responsibility including design, code, test and support, with each group under a strong leader. The development leader should relate to customer experience and deliver a superior end-to-end experience for the customer. An optimal team depends on the size of the enterprise. The basic organization structure could be as follows: VP with 6-10 direct reports presiding over each sub-function and each of them have teams with no more than 60-100 developers. Each front line manager should have a team of 8-12 people. This kind of organization has many advantages, for it provides stability, end-user intimacy and named accountability, creates a knowledge team and empowers developers by engaging them in real-time feedback. Also, all developers should be educated in project management to reduce inefficiency and cost of project management. Besides the process driven team, there is a need for a “common-services” team in every enterprise. The mission of this team is to design and build component code and frameworks that all other development teams can re-use. This improves the quality and cost of development. They also play a key role for this team to provide all of the inter-systems communications and messaging that is so critical to the seamless end-to-end operations. Nothing is successful without a world-class operations team that is “ALWAYS ON” and is focused on providing a superior end-to-end customer experience. The team’s goal is to provide efficient deployment, fixes, provide robust security and immediate response to challenges, both internal and external. WHO Principle 2—There are no perfect leaders, but great leadership teams. Leadership team should follow the following three steps (a) building an agenda, (b) building a foundation and (c) having an impact A) Building an Agenda Key skills of great leadership: 1) Pattern recognition—the ability to see underlying relationships and understand the meaning beneath the surface. This skill helps to distinguish the important factors from the noise and craft a compelling story of the organization’s challenges and opportunities. Great executives are good at addressing the near-term issues of the enterprise, as well as the lead the team towards the future goals of the enterprise. 2) Street smart—pattern recognition focused on the people and organizations. Leaders need to understand how decisions are made—who the influencers, experts and blockers are in the organization— and who will tell you what you want to hear vs. what you need to know. 3) Technically savvy—the ability to sort complex issues independently and take advantage of organizational, business and technological opportunities while avoiding fads. B) Building a Foundation Leaders must show personal character. This means doing and saying what is right, not just what is expedient or what others want to hear, even if it is at substantial personal risk. The consistency of character is hard to describe, but easily recognized. The leader’s character will build trust in the enterprise and lead to success of the organizations. Another important skill for great leaders is influence and persuasion. Leading other executives and front-line workers through a full scale business transformation that could be game changing will require strong influencing and persuasion ability. C) Having an Impact Leaders need to fully engage with their colleagues in the business. They should (a) provide input that business leaders actively seek out, (b) articulate unstated business needs, (c) guide organization to better processes and solutions and (d) tactfully challenge their colleagues’ position when necessary. Leaders need to be resilient and solutions oriented. During the game-changing initiatives, one needs to develop new approaches to work over, around, and through obstacles and setbacks. To be successful once has to build a resilient organization. WHO Principle 3—The culture of the organization is an important aspect in the success of leading change. Typically, culture is considered a soft topic and hard to describe. In reality it is actually a hard topic but easy to describe. Culture is like mortar that makes the building blocks (bricks) into a strong and durable wall. The culture that (a) builds trust, (b) provides hope, (c) shares enjoyment, and (d) leads to opportunity, builds a high performing team. Trust in the staff is a must. The trust is cultivated by setting boundaries within which people (a) can have freedom to make decisions, to take risks, to speak their minds, and (b) have obligations to speak the truth, to be accountable for their decisions and to learn from their mistakes. Leaders, when evaluated on how well they shared their staffs with each other, tend to build trust among each other. Hope is important as people tend to flourish when they have believe they have hope to achieve great dreams. Leaders need to be realistic as well as optimistic to provide a hopeful environment. Enjoyment is important in the work environment, as people perform at peak levels when they enjoy what they do and with whom they work with. Real enjoyment at work comes when the team is deeply immersed in tacking a problem, and as one, perseveres and succeeds together. Opportunity to grow is important at all levels and for all degrees of performers. Implementing the “move meeting” concept for rotating the talent pool through projects of different skills and requirements, providing the talent pool opportunity to learn new things. Creating opportunities for highly talented workforce by recalibration of the workforce on a regular basis is also important. Line organizations own the performance management process. Both managers and employees play a critical role in improving organizational performance. Performance must be measured on two dimensions: performance objectives and demonstration of competencies/values. Performance contributions must be differentiated across like jobs. Performance contributions must be tied directly to compensation. Performance improvement requires feedback, coaching, and development opportunities. My previous post talked about WHAT will we do. In this post, I will discuss HOW?. The pathway from current state to the future state. 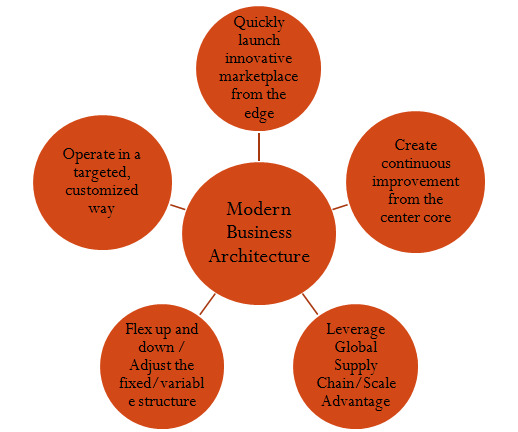 HOW Principle 1: Define and design a business application and technology blueprint andarchitecture before beginning investment and construction. HOW Principle 2: Enforce a “Common Way” for development and quality engineering. HOW Principle 3:Be disciplined in program and project management. HOW (Execution) pathway is the most important for the success after the WHY and WHAT. Historically, most enterprises fail when they arrive at this plank. Once a well articulated plan on WHY the change is needed and WHAT to change is done, many executives consider that plan to be (a) a threat, naive, or impractical or (b) on the spot. In case of (a), the executive fails because they do not believe and are not vested in the proposal and in case (b) the executives and board members have no confidence in the team to deliver the IT enabled business transformation in time, and on budget, with expected returns. The Feld Framework provides the principles of execution that provides a clear direction for execution and increases odds of success. HOW Principle 1—Key requirement is that team has developed and understood the business architecture with the IT architecture and the construction plan before building the IT infrastructure, software applications, and deployment. Layer 1: Business architecture—Key Role Player: Executive team (with CIO). Time boxed: 90 days. Process co-owners: IT and business leaders. Focus on breaking down necessary investments into actionable, discrete pieces of work. Warning: do NOT delegate or skip this layer. Layer 2: IT architecture (applications, information and technical architecture)—Key Role Player: CIO/IT leadership. Time boxed: 90-180 days. Focus on the details required to construct a quality product at the “deal” price. Warning: No one should start programming or acquire IT hardware/software WHILE planning for IT architecture is going on. Major releases are done between every three to twelve months (typically six months) apart. All business work streams are included and synchronized. A consistent way of managing delivery of software, function and organizational change to the business. End-to-end use cases or real business scenario testing using optimized resources. Provide rally points for all organizations to converge at specified tollgates. The methodology deployed should be enterprise-wide and it should include progress to plan, quality metrics, and so on. Remember that the total cost of ownership is significantly higher for a poorly designed and engineered system compared to a well-designed high quality system with initial high cost of development. HOW Principle 3—This principle provides life and motion to the HOW principle 1 and 2. Both principles 1and 2 are critical processes and structures, but how they are managed together will lead to success or failure. This requires that IT organizations have a culture of build to delivery, with a strong project review process. The project review process should be for self-disciplining and keep at large a methodology police or process cops. Bureaucracy is harmful to the process as well. Setting a cadence for reviews, meetings and tollgates helps to establish participation and management. Meetings should be only during designated meeting times and rest of the time should be devoted to work. Maintenance and support team should be integral part from the beginning. The quality of HOW is inextricably tied to the quality of WHO. In my next post, I will discuss, the next plank, the WHO!!. In my previous post I covered the first plank WHY – do anything? In this post I will talk about the second plank, WHAT will we do? Define the future state clearly. Discussion can lead to centralized vs. decentralized control and implementation. Focus on what gives speed and customer centricity. Focus on scale, leverage and quality. In my next post, I will write about the third plank- How? My previous post talked about the Five timed boxed phases. Here I will cover the 1st of the four planks for the strategy phase (i.e. WHY)? sustain effort throughout the journey of transformation. Business imperative articulated by the executive team. The WHY to do anything is more important than ever, because to be successful the enterprise has to be agile and efficient in responding to the needs of the customers and compete globally. During the last 40 years, multiple innovation waves have created a global economic platform for business competition. Today’s customers care only about how fast they can review a full suite of products and services, receive their choice and move on. They are not concerned about how an enterprise is organized internally, whether by products or P&L or services. Enterprises that fulfill the need of customer will survive and thrive in the 21st century. Such enterprises have to adhere to a hybrid model of being like both the hare and the tortoise. The organizations needs to emulate the hare by being agile to adapt to the global market fluctuations. 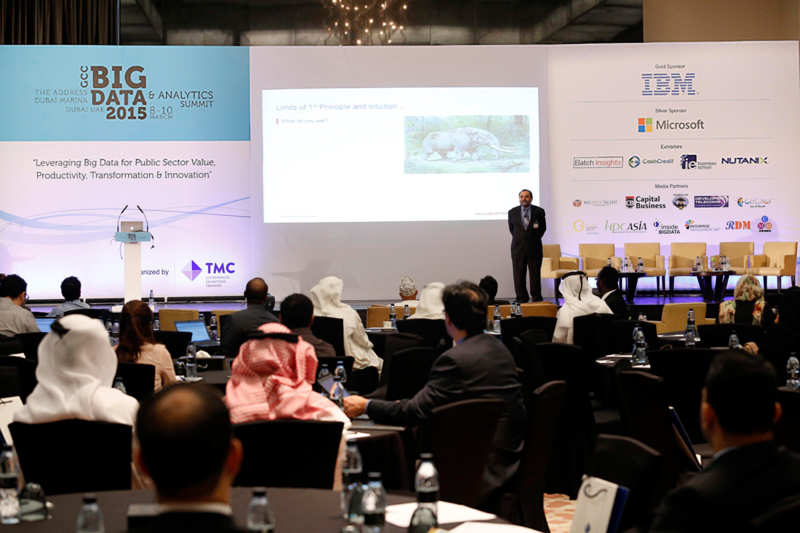 At the same time emulate the tortoise by adopting characteristics such as discipline, operational excellence, standardization, simplification and automation. High performance enterprises are simultaneously centralized for leveraging operational excellence and global consistency and decentralized for insightful decision-making, innovation, and speed. The culture of these enterprises has to be structured around both speed and leverage. IT is central to all enterprises and needs to be modeled around the above characteristics. Another challenge is that the evolution of IT is taking place at a fast pace and business leaders have to adapt to those changes while making sure that they are not carried away by the latest fads. Many companies have demonstrated that they can be more efficient by owning fewer assets and renting or buying much of what they need. Thus a successful 21st century enterprise has to master a virtual ecosystem that is always on, integrated, and responsive to its customers. IT enables that system. The investment in IT has to be done while keeping in mind the increasing speed of technological advances, the degree of complexity of technologies, and a customer centric view of business. 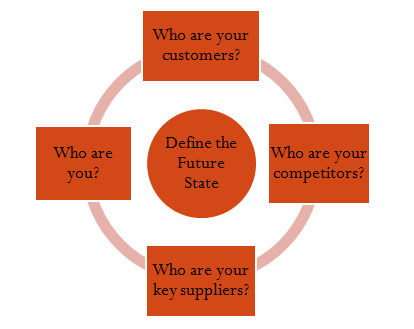 The business leaders need to ask customer-centric questions and ask how do I gain market share and competitively grow? And how do I make money doing it? What investment gives cost and quality leverage, speed and flexibility in the global economy? The traditional question of whether the business run in a centralized or decentralized manner need not be the main question for the 21st century organization, for the answer no longer matters. For enterprises to be successful in the 21st century and beyond, one needs to keep asking WHY do anything. If there is a compelling reason, then move to the planks of WHAT, HOW and WHO. In my next post, I will write about the 2nd Plank WHAT will we do? In my earlier post, I provided an introduction to The Feld Framework. In this post I talk about the five time boxed phases. Perform the Gap Study between the current business model and the future state: It defines the work, timeframes, investments, and risks of the transformation. Articulate a compelling reason to change (WHY) and propose WHAT to change. Multiple pathways to reach to the future state: Scenario planning to get Best Fit Scenario, that shapes the HOW and WHO portions of the agenda. Time duration for this phase between 90 – 120 days. (No traction if <90 days; It becomes a science fair project if it takes more than 120 days). Detailed plan takes to next phase: The Turn. Sequencing and pacing the journey from the current to the future state. Develop business and technology blueprints, providing a construction process and a clear roadmap. First release should be broad, but articulated to show visible, small impactful success. This helps in adjusting the organization for change in leadership, structure, governance, and investment (WHO) and the common-way quality engineering (HOW). More emphasis on the HOW and WHO in this phase. IT leadership plays a key role. Focus on quality construction, modern design and development, and IT capability building, executing and delivering the new way. Time duration six to nine months, depending on the size and complexity of Release 1. Gain speed, correct course, and build organization strength and confidence. Enhance quality and productivity. Business team engaged in enhancing Release 1 for business processes, metrics, incentives, culture, locations, etc. Achieve consistent and quality delivery every six to nine months at a reasonable cost. Business function plays the role of implementing the IT-enabled changes and extract value of the investment. The next post will talk about the four planks in strategy phase. In the next few posts I will provide a review of The Feld Framework for IT Leadership. Summary The success of any business organization in a fast growing, customer-centric global economy relies on the ability of that organization to leverage its IT strategy. In the past two decades, many case studies have been done that show companies that failed to leverage and implement an agile IT strategy were overtaken by their competitors. The implementation of an agile and efficient IT is certainly dependent on the right business and IT leadership. The Feld Framework for IT Leadership presents a principle-based, highly successful framework that has been tested across technology eras and various industry sectors. Introduction In most business organizations, the business leaders are knowledgeable and skilled at most operational and functional areas of the business, such as finance, products and litigation. These leaders are so adept at probing and pushing the workforce and at communicating their point of view with zeal that an executive team meeting seems very productive and communicative. However, when the discussion goes into the realm of IT implementation and strategy, most of these business leaders rely on the IT consultants and technical subordinates. Their eyes glaze over with confusion and they only hope the IT function gets the operational aspect of business right. The business leaders consider IT as a relative black box and a complex functional area. In fact, IT is a blind spot for most business executives. However, IT should be no more difficult than marketing, operations, finances, sales or any other broad operations disciples. Because IT is essentially about information flow, work-flows, and reflecting business rules for technology to drive greater efficiency, it should enable all other functions to operate seamlessly and integrate, leading to a well run business. In this fast moving, customer centric, global economy, IT plays a critical role in enabling, or disabling, an enterprise; however, it remains a blind spot for most business executives and a costly inhibitor of speed and agility. In terms of Porter’s Five Forces Model, IT plays a significant role in all Five Forces—competition within the industry, barrier to new entry, supplier power, buyer power, and the threat of substitute products. The Feld Framework for IT leadership unveils the mystery surrounding the IT blind spot. The Feld Framework is a simple and solid approach for demystifying technology for non-technical business leaders. It provides a path to successfully fight global competition and adapt those as the competition changes with time and new technology. It provides a framework for business executive to be as fluent in IT’s role as they are in other disciplines of business operations, and enables them to leverage IT for complete business transformation in order to successfully compete in the global economy. 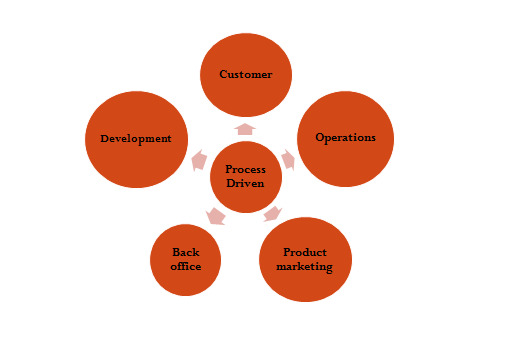 The complete journey for business transformation requires the four planks for change and the five time-bound phases, as shown below in Figure 1. All four planks of changes are important in each phases of the business transformation journey. The journey starts with a 90 day strategy engagement in which one answers the following questions for each of the planks. WHY – Why do anything? WHAT – What we will do? HOW – How will we do it? WHO –Who will lead and manage the change? The Feld Framework has been developed over two decades by a very experienced team of IT leaders. Its implementation in different industries has allowed this framework to grow into a simple, principle based, framework which can be easily deployed to any organization. The origin of the Feld framework can be traced to the work of Charlie Feld in 1984, when he led the business transformation at Frito-Lay. Since then, a team of IT leaders have employed his method in major companies such as Southwest Airlines, Delta Airlines, Pepsi-Co, Coca-Cola, First Data, FedEx, Home Depot, Payless Shoe Source, Washington Homes and Burlington Northern Railroad. The technological changes taking place globally require business leaders to develop a reasonable foundation for using systems and technology as they come into the marketplace while avoiding fads. Toyota has admitted a software problem that caused the safety issue for many of its cars. One can wonder, what was the root cause for the software bug? Why was it not found even after so many models have received it? What happened to the QA process here? What use case did they NOT test, until the issue from public became of large? Toyota – an epitome of quality has been a topic of numerous case studies and now this recall and software bug would lead to few more case studies and hope that other companies can learn how to avoid such costly mistake. The intangible and tangible cost to fix the problem is going to be large and felt for a long time. This should be wake up call for many executives in various industries that have IT as their Blind Spot. In my next post, I will discuss more about IT Blind Spot. Thanks to the Qburst team for migrating my blog to the latest Wordpress version. I am now ready to share what I have to offer. For last few months I have been mentoring three start ups in Internet, Media, and Energy space. The following five marketing approaches have worked for them. Consistent Press Releases – Highlighting the customers, the company growth, the people of the company, the products and services in a consistent manner at a regular interval provides a boost in building the share of voice in the market place. Sponsoring A Local Event - Sponsoring local events like the sports league, the robotics competition, the Lego league and other school events provide name recognition among the future customers and current audience. Leveraging Social Media – Creating profiles and contributing relevant information on various social media channels lead to new opportunities for connecting with customers and affiliates. Be Your Own Mobile Bill Board – Displaying your web site (URL) or Company Name via stickers, magnetic sheets on cars that are company friendly (like yours, spouses, friends) clearly shows a rise in visitors and conversions, at least from the local geographic area. Cautious Online Advertising – Online advertising is an art and a science, that many people do not understand. As a start up, engaging with SEM and other service providers could drain your resources very fast. A carefully measured approach with targeted online advertisement at a smaller scale is the first step to enter this area. Do not get carried by services provided by many SEM/SEO marketing companies, unless you understand the return on investment. Barely a week before the Grow Smart Biz conference 2009, the registration count was just below 200 people. So it was a surprise when on Sept. 29, the day of the conference, the hall was filled with well over 400 attendees. What happened? The Social Media Buzz superseded the traditional marketing of the conference, and the attendees poured in to listen to a great cast of keynote speakers like Senator Mark Warner and Chris Anderson, editor-in-chief of Wired magazine, and Roy Dunbar, CEO of Network Solutions. Our own social media swami, Shashi Bellamkonda, known in the social media world as “Shashib” or “Shashi” worked tirelessly with support from a few of his teammates to explain the value of the conference to small businesses. The team used Twitter, Facebook, LinkedIn and other social media tools to spread the word about the conference. And the word of mouth spread quickly! After speaking with the attendees and listening carefully to their thoughts on the conference, it is clear that the verdict is that GrowSmartBiz conference was a great success. Having attended many conferences in the D.C. area in last few years, I have seen that the afternoon sessions typically seem to retain less than 40% of the attendees that were present at the morning sessions. At the Grow Smart Biz conference, the attendees were constantly engaged and the attendance rate of the afternoon sessions was 80% of those that were present in the morning. Many who left still joined the conference via webcast. The conference had over 1000 streaming visitors and 150 simultaneous streaming viewers. We even had attendees from as far as Australia watching the live stream of the conference! Another indicator that the conference was a success was that people showed interest in expanding this event in the future. Some talked to a few Network Solutions executives about ideas for next year’s conference, and many asked if this would become an annual event. There were also a lot of people talking about the content on social media as opposed to talking about the tools and software for social media, which is often the focus at conferences. With this insight, small businesses have a better idea of how to use social media to help them grow. Even after a week of the conference, requests coming in are for people willing to pay for the content of the conference. You can learn about Grow Smart Business here and watch the video replays of the conference here. If you attended or watch the replay, let me know your thoughts. We would love the feedback. During this weekend’s technical coffee meeting, I presented this brief high-level view on how to choose the best Web content management system (WCMS) for social media and Web startups. A large collection of content management systems (CMS) are available. The list of features supported by these CMS’s ever expanding. This is creating a time consuming exercise for the entrepreneurs. I have devised a simple solution to this complex issue. The simple solution is to think in terms of the Content Systems Strategy Triangle. The three corners of the triangle are: (1) business strategy as it pertains to the content, (2) technology strategy, and (3) organizational strategy. Business strategy should allow the WCMS to address the business objectives and not just the technology solution. The FIRST step method can help in this regard. Flexible – The CMS has to be flexible to incorporate business objectives. For example, in today’s flat world, it should address multiple languages and provide personalized content using dynamic features for a diverse user base. Integrable – The CMS should provide functions to integrate easily with all business applications that are needed to successfully launch the product/service. The integration of segmentation techniques for providing relevant customer experience, Search Engine Optimization (SEO) tools, and Web analytics tools should be taken into account. Restrictions – The CMS should have NO, or minimal, restrictions for Web site control for the content and user experience owners. Typically, the technology teams will make it programming focused thus increasing restrictions for the content and user experience owners, who have limited programming experience. Simple – The CMS has to be simple to use for content providers, writers, and owners. Timely – The CMS should allow changes to be made in timely fashion, that is, it should take minimal time from the time the new content is added, modified, removed to when it is displayed to customers/consumers of the web. Technology strategy for deploying a successful launch of CMS or WCMS should take into consideration the FIRST steps of business strategy. It should ACE. More on this topic in my next post. Good customer experience increases chance of customer loyalty, lifetime value and free advertising via word-of-mouth and during current times via Facebook, Twitter and other social media channels. Organizations that have a mission to grow profitably need to have a major focus on providing good customer experience. The following 6C’s could be followed by any company for providing great customer experience. Consider each customer complaint as a gift or opportunity to improve service, product or business relationship. Communicate with customers in a timely fashion. A customer whose issues are resolved in timely fashion has greater chance of becoming your advocate and recommend you to his or her friends, even though he or she had some issues with your organization in the past. Continuously perform customer satisfaction surveys with the aim of understanding problem areas, and the future behavior of satisfied customers. Consider your website, as one of the key tools for providing a great customer experience. Customer loyalty needs to rewarded. (For example, by providing incentives for future purchases or by providing them referral credits). Customer experience reviews and actions for improving the experience should become the integral part of the organization’s DNA or core values. The customer is one of the top things that matter most in business. One of the key companies that value customer experience is Ritz-Carlton. It is the only service company to have won the prestigious Malcolm Baldrige National Quality Award twice. To that end, all of Ritz-Carlton’s employees in every company hotel meet every day for a “15-minute” lineup to talk about their core values. More companies should have these meet ups to get the day going while reinforcing the company’s core values. The above steps can be easily adopted by any company to be competitive and grow their business. In tough economic conditions, it is important to keep an active marketing campaign. However, the execution of marketing campaigns need to change for most businesses due to the drastic change in one of the key principle-the cost of marketing. Using PREPARE steps one can create and cost effective marketing campaign. Public Relations – Leveraging the public relations should be a key part of marketing. It is one of the channels that can cost nothing if done correctly and could be executed at the desired geographical area from local to international depending on the customer. Reap Benefits of Remnant Space – Many advertising time slots on Radio and TV are not sold in time and are considered left over. Companies will sell this remnant space for great discounted price, specially when the time lines are tight. Email marketing – Use Email marketing where ever possible in place of direct mail, as it cheaper and provide good tracking history. PPC (Pay-per-click) – Pay-per-click refers to online advertising. In this model, advertisers pay for every advertisement that is clicked by the Internet consumer. One of the fast methods for placing advertisements and viewing the results. Always ON marketing – Having your own website or online presence that provides customers information about your products and services, acts as always ON marketing. Rethinking Social Interactions - Human beings are all social beings. Rethinking about how you interact socially is important. Leveraging the social media tools like Facebook, blogs, tweets, message boards, etc. can provide access to large segments of customers. E-seminars – Sharing information and knowledge with audience using inexpensive tools is a great way to market. E-seminars and Webinars are quite easy to to produce and can be deployed for almost little to no cost, but can generated interest in your product and services effectively. All marketing activities should be open, relevant and focused on customer satisfaction. The success of marketing should be measured by the strength of customer relationships that the organization has with its customers. Using steps above one can keep and active marketing campaign in a cost-effective manner. Marketing is one of the key pillars of success for the small businesses, as reflected in the latest Small Business Success Index. Two days ago, I was exploring for successful channels of marketing for small businesses, and I landed on this news article about the Annual Best of Business Contest, by the Society of American Business Editors and Writers (SABEW). I was impressed with the mission of SABEW which states “To define and inspire excellence in business journalism”. In the current economic times, it is certainlyeven more important to have organizations that focus on inspirational aspects of small businesses. The impact of the writings of the editors and writers in being reconginzed at their 14th Annual Awards for Best in Business Contest on April 27, 2009 in Denver, Colorado. I wonder what our Social Media Swami (aka Shashi) thinks about this conference and the organization? Tough economic times open gates for micro financing and online lenders. The World Bank estimates that there are over 7000 microfinance institutions that are serving over 16 million poor people in developing nations. The total cash turnover is estimated at $2.5 billion in US currency. As per the latest Microcredit summit, the total cash need to help over 100 million poor the world is over US $21.6 billion. The repayment rate is 97% much which is better than any commercial bank loans. ACCION USA is part of the U.S. ACCION Network, the largest domestic micro lending network, with over $230 million lent since its inception in 1991. It is committed to bringing affordable microfinance solutions to small business owners who need them. ACCION USA is a private, nonprofit organization that provides microloans and other financial services to low- and moderate-income entrepreneurs who are unable to access bank credit for their small businesses. With economic opportunity, these entrepreneurs–often minorities and women – can build assets, better provide for their families, and strengthen their communities. It offers flexible loans (up to $50,000) for small business. To learn more click here. Kiva.org is the world’s first person-to-person (P2P) micro-lending website, empowering individuals to lend directly to unique entrepreneurs in the developing worlds. The mission for Kiva.org is to connect people through lending for the sake of alleviating poverty. It has over 27,000 lenders and provided loans about $27 million to small businesses in over 40 countries. Kiva has partnered with Advanta the small business credit card issuer to create a KivaB4B.org. Click here to visit Kiva’s website. Microplace’s mission is to help alleviate global poverty by enabling everyday people to make investments in the world’s working poor. It is a social business. The minimum amount to invest is $20. The return on investment is around 5%. It is an eBay company. Get more details click here. LendingClub is a P2P micro-lending club. It is more of a social lending network that lets borrower members borrow money through personal loans, and lenders fund these loans by investing in Notes. Each Note corresponds to a portion of a borrower loan. A recent review of this social lending network shows that it had facilitated $23.6 million in loans during the June 2007 to December 2008 time period. The average return for the lender was 9.05 percent with a median return of 10.48 percent based on weighted average return on invested capital. To learn more click here. Prosper.com is another peer-to-peer lending site. At the time of the writing this report, Propser.com is not active as it has received a cease and desist note from the SEC. It was launched in 2006 and claims to have 830,000 members with over $178 million in loan facilitation. They offered loans up to $25000. Their website. ZOPA USA is a marketplace where people lend and borrow money to and from each other, sidestepping the banks. This is also a social lending organization, started in UK and currently not active in US. The average return for the investors was 9.1%. Count Me In is an online micro-creditor offering fixed-rate loans of $500 to $10,000 at 2 points above prime with terms of 12 months to 84 months. The loans are aimed at women-owned startup businesses. Count Me In. There are other organizations like FINCA (thevillagebanking.org), the coalition of community development financial institutions (cdfi.org), the Opportunity Finance Network (opportunityfinance.net), OBDC Small business finance focusing on local community business loans (obdc.com), America One (americaoneunsecured.com), etc. are involved in either P2P, social, community or unsecured business loans. Many people in the company and outside have asked what is the role of a Chief Knowledge Officer or CKO in an organization? Chief Knowledge Officer is “the individual that is in charge of building, maintaining a knowledge management infrastructure and building a knowledge culture to align with the business strategy and create a competitive advantage.” The Chief Knowledge Officer position is fairly new in business compared to the existence of the Chief Technology Officer, Chief Information Officer, Chief Executive Officer, Chief Finance Officer on the executive team. In the fast moving companies, the CKO role is becoming increasing critical and thus, the position sits on the executive team. The data pyramid is Data -> Information -> Knowledge -> Wisdom. Information systems are good at storing data and information. The challenge has been the management of knowledge that results from the stored information. Knowledge has two components, explicit and tacit. The management of tacit knowledge has been very difficult. More on this later. In my own role as CKO I lead the organization that have knowledge workers in the areas of market research, competitive intelligence, economic factors research, business cases and financial modeling, marketing analysis, web analytics, product pricing, packaging and promotions, customer care analysis, etc. In my next post I will talk about various modes of knowledge conversion and its effectiveness. Since Satyam has the expertise in several fields and it is difficult to categorize him as a geek, scientist or engineer, what would you like to hear from Dr. Satyam. Having had extensive conversations with Satyam, I know he can talk to a wide variety of audiences from 6th graders to scientists to business leaders with a similar fluency. SEO Ecosystem What is the semantic web? Analytics that a Small business web site owner should pay attention to ?